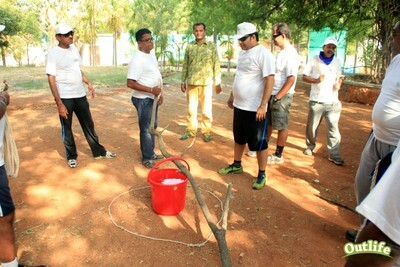 ​Team building is the use of variety of interventions, group processes, skill based workshops, team building actvities that are aimed at improving interpersonal relations, clarifying team members roles, responsibilities as well as solving tasks and interpersonal conflicts that affect overall team functionality at the workplace. 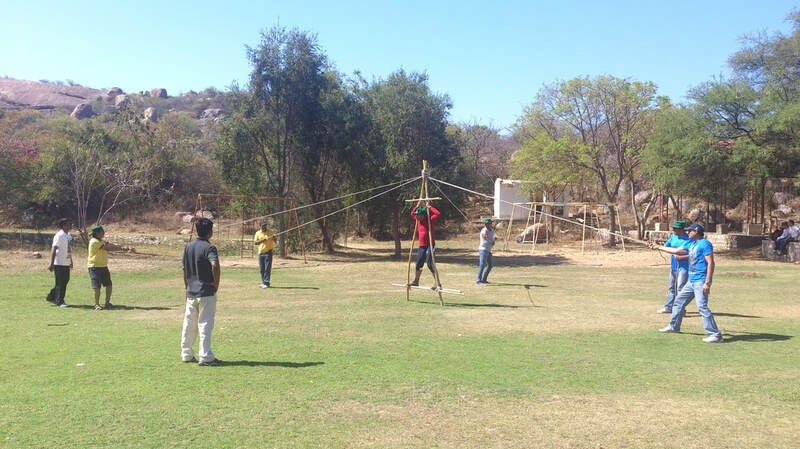 Contact us to design a team building intervention for your organisation. ​Personality-Based Team Building makes use of a personality or psychometric questionnaire such as such as the Myers-Briggs Personality Type, Insights Team Dynamics, Belbin Team Roles, Enneagram or DISC assessments. Personality-based interventions focus on improving interpersonal skills among the team members. ​The results are communicated to each team member and, in some instances, the entire team to help members understand and appreciate their own and their teammates' personalities and interpersonal styles. Ideally, this understanding leads to better communication and improved team effectiveness. ​Members may also do role plays and take part in team building activities to relate and reflect on their personality type and how they can effectively communicate and building good relationships with other team members. ​Activity-Based Team Building involves fulfillment of challenging tasks in an outdoor environment, such as group outdoor and adventure activities. 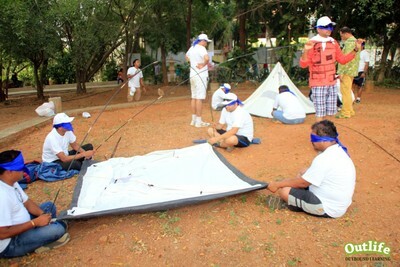 The team members participate in physical challenges, such as group obstacles, physical challenges, canoeing or hiking. ​The interventions focus on teamwork, problem solving, conflict, trust and risk taking. The task requires all the members to take up various roles to complete the challenge. ​The behaviors are brought out to awareness during the sharing phase and debriefing phase and parallels identified at the workplace that is similar to the challenges face by the team members. The learning is transferred to the workplace, thus creating new relationships between the team members to work efficiently together. ​Skills-Based Team Building Skills engages team members in a workshop style intervention that is a combination of training content and activities focusing on developing skills they need to work together as a team, such as communication, leadership skills, dealing with conflict, effective team meetings and more. 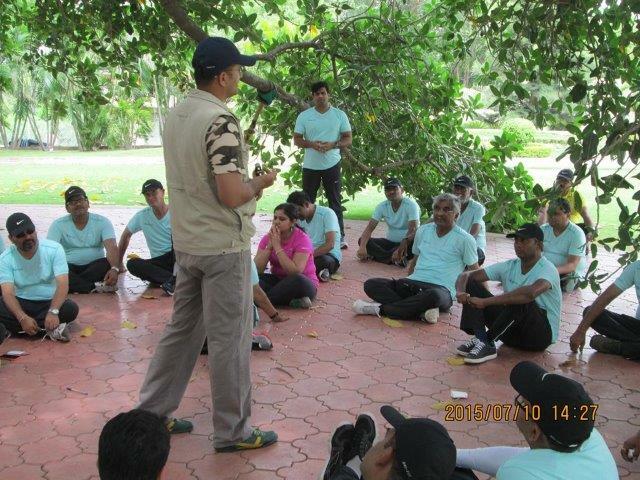 ​These skill-based workshop give members the opportunity to learn and practice teamwork efficiently. ​With the development of these team skills it is possible to create a more effective team if the skills acquired are applied in the workplace. These interventions are presented as a workshop with training content and team activities in which all members participate and develop action plans for practicing the needed skills. 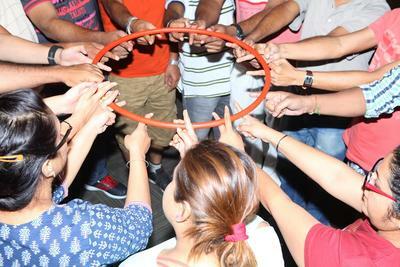 ​Problem Solving-Based Team Building is frequently executed at an offsite event but can also be done indoors. 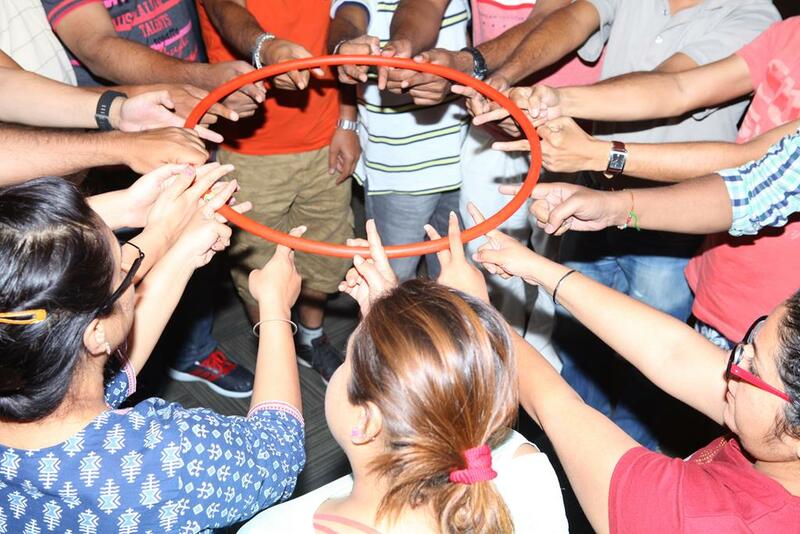 This type of team building is aimed at helping the team unravel and solve certain problems. The members of the group will then work together to identify the challenges and possible solutions while trying to work as efficiently as possible in solving the problem. ​The facilitator's job is to help the team explore and understand the problem in order to find a solution. Problem solving retreats are the most common form of team building intervention because parallels are drawn between the activity and work and the transfer of learning is immediately applied to the team's ongoing work. 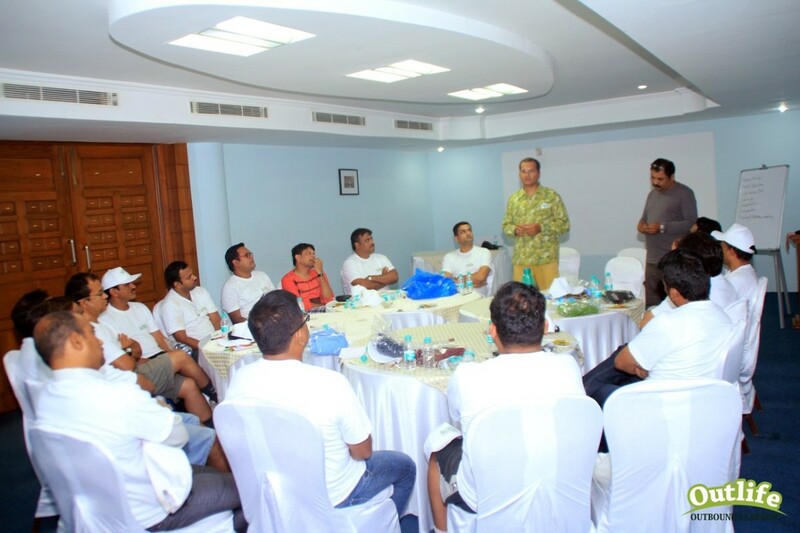 ​A good team building program will have a combination of all types of team building interventions and is usually based on the methodology of experiential learning and adult learning principles. 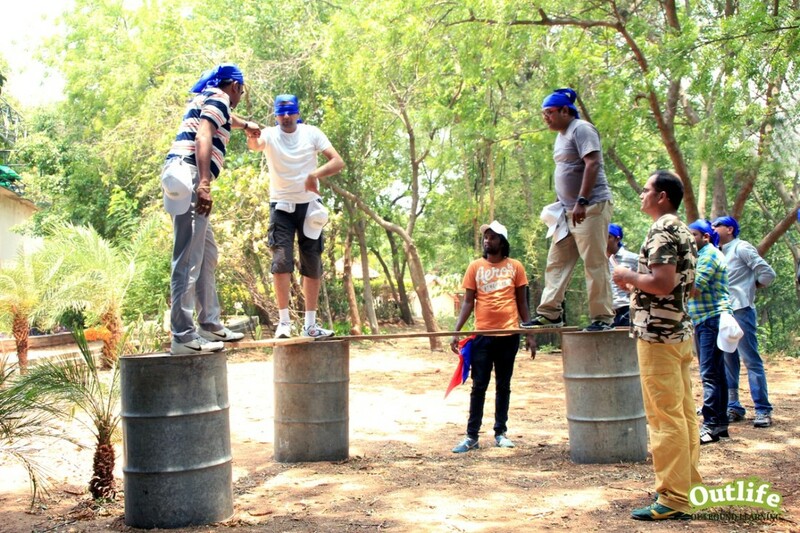 ​Such wholesome team building interventions focuses on all aspects of the team needs namely team vision, team relations, team goals, team roles and team processes to build a efficient and high performance team.